Less than a week after Amazon announced it had reached a deal with the world’s largest book publisher over sales, the company announced it would begin a new payment system for some authors: paying by the page read rather than the book purchased. Starting July 1, the e-commerce giant will change the way authors receive royalties for books listed on subscription services, Amazon Lending Library and Kindle Unlimited. 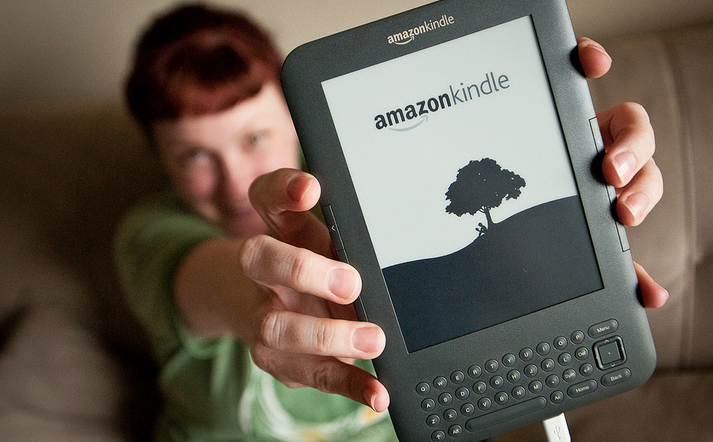 For now, the new system will only apply to authors enrolled in Amazon’s Kindle Direct Publishing Select program, which essentially functions as an avenue for authors to self-publish their work. In order to determine how much an author should be paid, Amazon will use what it calls Kindle Edition Normalized Page Count (KENPC). Calculations will be made based on standard setting – font, line height, line spacing – starting with the Start Reading Location (SRL) – typically the start of the first chapter – to the end of the publication. Non-text elements such as images, charts and graphs will also count toward the KENPC. As with the current payment system for the Lending Library and Kindle Unlimited, Amazon will pay authors through a monthly pool of cash, which varies from month to month. So for example, Amazon estimates that if the fund is $10 million and 100 million total pages are ready that month, the author of a 200 page book that was borrowed or read completely 100 times would earn $2,000. However, if that author’s book was borrowed 100 times but only ready halfway through on average would earn $1,000.